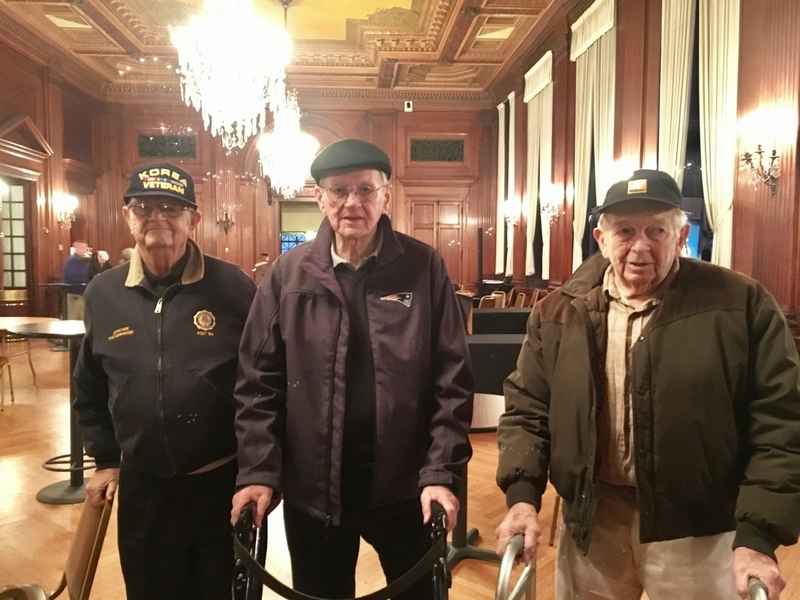 Community Life recently organized a very special outing for our wonderful Veterans who reside here at East Village Place. 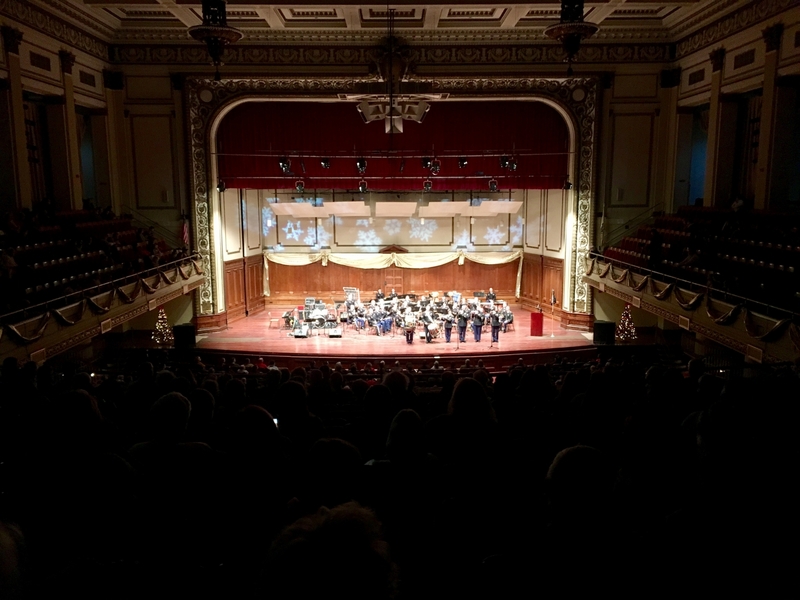 We were honored to attend a holiday concert at Symphony Hall featuring a spectacular performance by the 215th Army Band of the Massachusetts Army National Guard. The musicians that comprise the 215th Army Band are all citizen soldiers. 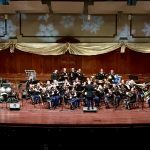 “Army Bands provide music throughout the spectrum of military operations to instill in our soldiers the will to fight and win, foster the support of our citizens, and promote our national interests at home and abroad.” The concert was not only an opportunity for us to come together and share in the joy of the season, but also an important time to honor both Veterans of our Armed Forces as well as those currently serving in the military. 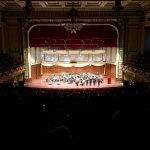 The concert began with a few military musicians on stage, but with each performance, more seats in the orchestra began to fill up. Before we knew it, there was a full band consisting of every instrument you could imagine – flutes, piccolos, clarinets, saxophones, bass, trumpets, trombones, French horns, tubas, drums, and even a violin! 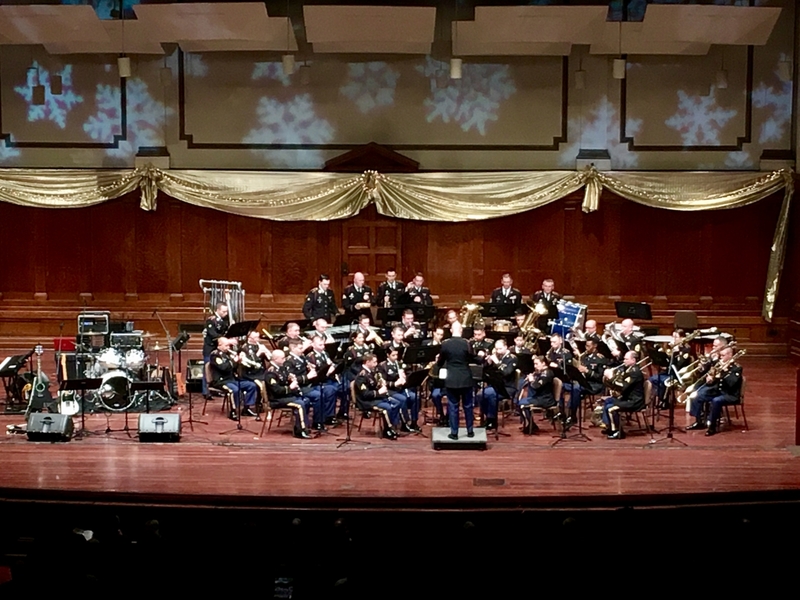 The Band played a mix of patriotic songs and classic holiday songs, but ended their performance with the Armed Forces Medley. 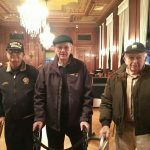 Our Veterans in attendance stood and saluted when the song for their respective branch was played. 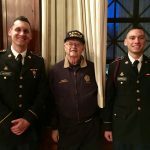 After the concert, Jim had his picture taken by some of the Army Band members and talked with them about his time in the service. 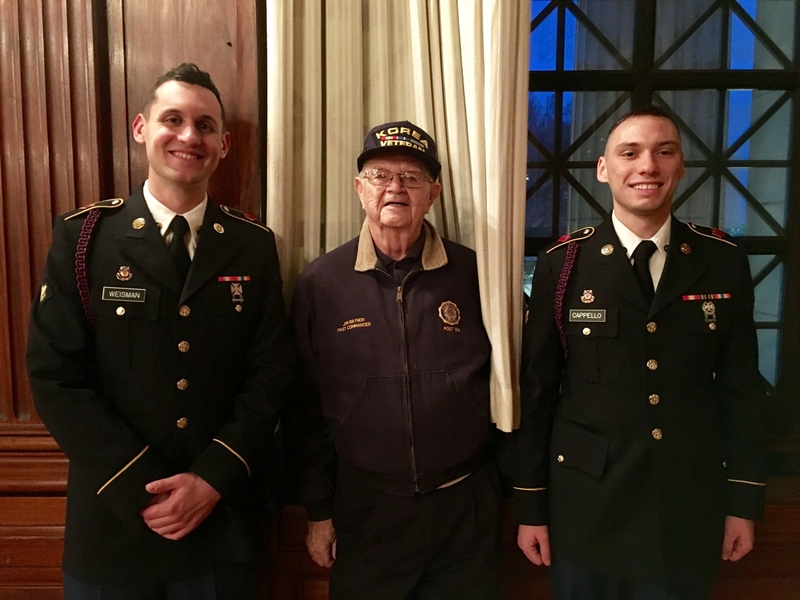 Several of the residents shared stories about previous Army Band concerts they’ve attended in the past. We all had an amazing time and are grateful to those who have served our Country in order for us to be able to enjoy the holidays with our loved ones.